The biggest challenge for many businesses is getting new customers. Perhaps you’ve set up social media accounts for your businesses and you’ve asked your friends to like your page or your posts but it doesn’t help you win new customers. You might have even spent some money on advertisements and are either wondering how effective they were or gave up because they ‘didn’t work’. 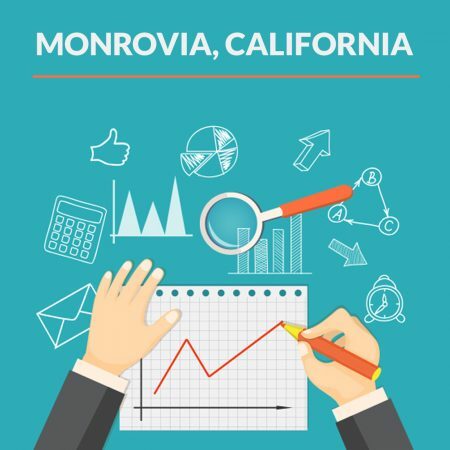 We here at Ready Artwork have gone through these growing pains but we’re here to share a few secrets of how we were able to improve our marketing strategy once we moved over to Monrovia, CA from San Gabriel, CA. It’s important to establish which platform or platforms are right for your business. For example, if you’re running a restaurant, you’re going to want to have an Instagram account. After all, 29+ million Americans have shared a photo of food or drink they’ve taken in a restaurant. It’s also important to be consistent. If you’re not posting consistently, your content won’t be seen. You might run into another problem though; you’re posting often but no one is interacting with your posts. This is a result of the ‘algorithm’ that social media platforms use. We’ll take Facebook as an example. Everyone’s news feed is competitive. You’ve got friends and you’ve got pages you like. Posts from your business will compete with photos of your friend’s baby, life event announcements and viral videos. So what can you do? If you’ve used Facebook lately, you might have noticed the rise in the number of videos being circulated. That’s because Facebook favors video content. That’s how you can compete; create compelling video content. The next option would be Social Media Advertising. Social Media platforms are quickly adopting the ‘pay-to-play’ model. If you want to guarantee exposure, run social media ads. It sounds technical and daunting but there are some quick and easy steps to help improve your SEO. If you’re a local business, you can ensure a few things to make sure your local SEO strategy is sound. Name, Address & Phone Number – It’s a good practice to make sure your business name, address and phone number are consistent throughout your listings. These listings include, Yelp, Yellowpages, Foursquare, Google Places and more. Network – Gaining links and connections is crucial to growing your online presence. For example, we were able to send out a query to help us get some advice on a business relocation since we had moved from San Gabriel to Monrovia. You can read the expert advice we received. Blogging – Consistent blogging has helped us identify and solve problems for our clients. We research topics that are helpful and they help us start a dialog with our community. You don’t necessarily want to do exactly what your competitors are doing, but instead, you should be aware of what they’re doing. If you copy them, you won’t ever be able to surpass them! See what they’re doing and try to figure out what’s working for them. Here’s what we do on a regular basis with the help of advanced software. There are some free tools that you can use thanks to Google! Google Alerts & Google Keyword Planner. Here is a bonus tip! Get real reviews! 88% of people consult reviews ‘regularly’ or ‘occasionally’. Here’s a humble brag, but we’re proud to be rated 5-stars! We’ve received Google Reviews, Yelp Reviews and even Facebook Reviews. But make sure they’re real reviews! Unfortunately, even some real reviews might be filtered on Yelp based on their algorithm. But don’t get discouraged! Keep delivering exceptional service and build up those reviews. They affect click through rates on search and are even becoming factors for rankings. If you stick with this plan, you’re guaranteed to start improving your inbound website traffic and make business connections in Monrovia. Connect with us on Facebook and Instagram & get to know us! If you have any questions on any of the above, contact us below or give us a call at 626.400.4511. We would love to hear from you!